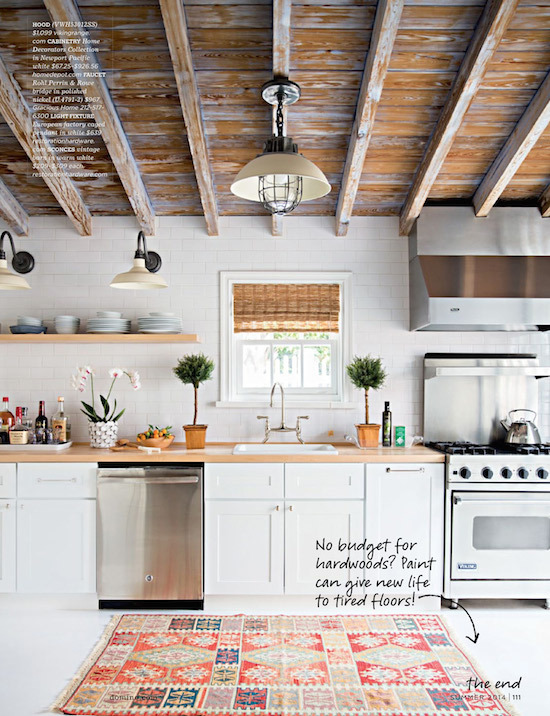 Designer Anna Burke's spin on a Florida vacation cottage was one of my favorite features. I love the mix of centuries and cultures in just the dining room alone: campaign style chairs, midcentury modern table, fishing pier light fixture... and let's all gaze in awe at the kitchen's ceiling. 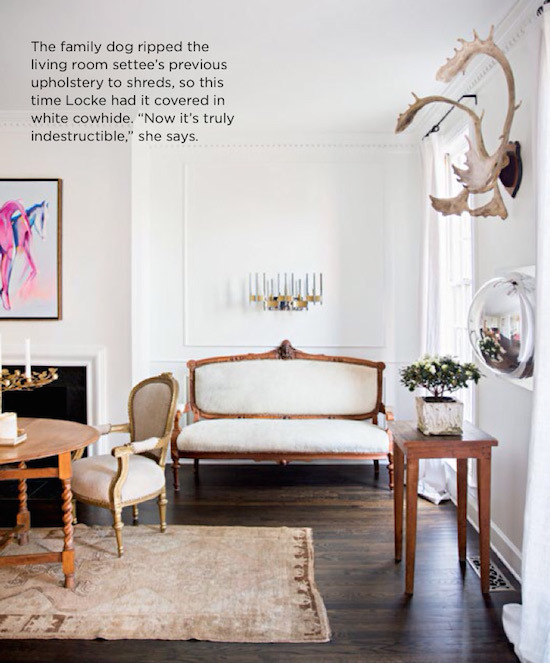 I loved this Nashville couple's living room feature antique furnishings juxtaposed with modern artwork. And yes, I do rather consider those antlers to have more of a statement art vibe. 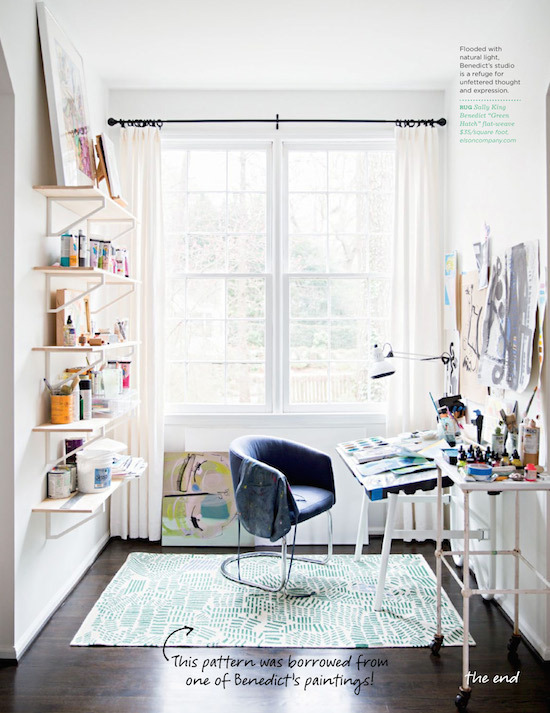 I'm already a fan of artist Sally King Benedict's artwork and her seemingly intuitive design sense, I loved her Charleston home, featured on Glitter Guide. 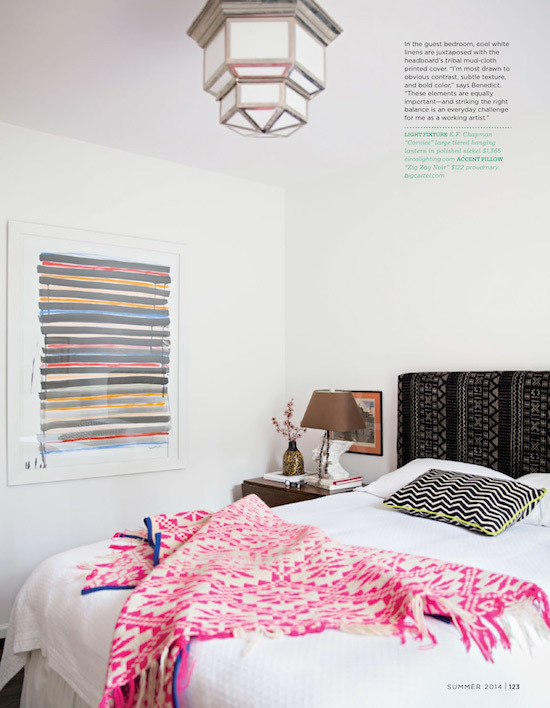 Her new home was the cover feature in this issue and I just love her charming mix of bold, bright and playful throughout. 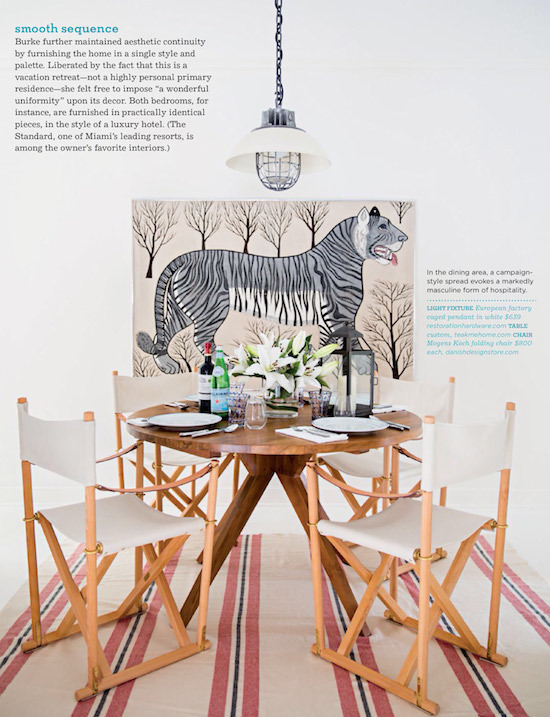 Last, but not least, I loved designer Lisa Sherry's home tour. I've posted many of her projects on the blog over the years so it was such a treat to see her new space. 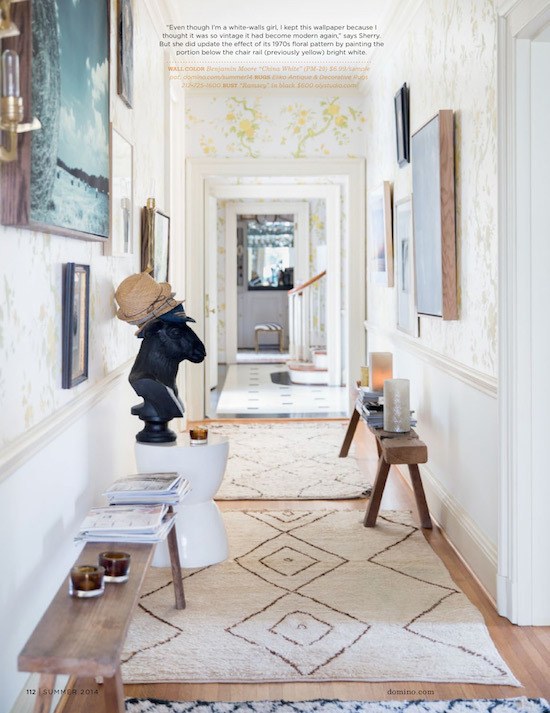 For some reason this little hallway was my absolute favorite, something about the combination of moroccan rugs with the florally, traditional wallpaper just makes me smile. Oh my gosh all these spaces are so beautiful! I just ordered a copy of the latest issue last week and I am anxiously waiting for it to arrive. I am right there with you about not reading other shelter magazines as much and they often seem to pile up, however I always do try to make time for House Beautiful because that is still a favorite. 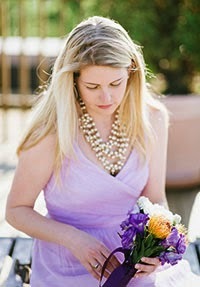 Love all these images you chose to feature it is making that much more excited for the magazine to arrive!